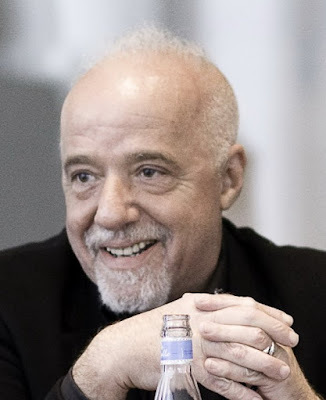 Paulo Coelho's blog is one of my favorites. Today he writes 'The 3 Symptoms of Killing Our Dreams'! I think it is worth the read. Yeah, I'm not entirely sure that I agree with him. He sounds like a classic Type A personality to me. I'm a little like you. Hence the title of my blog. Just thought it was interesting view. I do believe that 'all that wander are not lost!" I would differ a bit... As we come to elderhood, it seems wise, to alter some of our dreams. If we once wanted to "do something," which can no longer be achieved, it seems Wise to let go of that one. Because to mess with our later time, berating ourselves or being unhappy, that we didn't do this or do that, when younger... Doing such will certainly taint our well deserved Peace of later years. Just my thoughts... Thank you for sharing this link. I still have a couple of dreams to work on in Act III of my life, but I agree with you. Keep seeking truths, however you choose to do it. Did you find that while reviving some of your dreams, they didn't have the same intensity? I did. I have chronic depression and PTSD, which inspires a lot of inner searching and contemplation. I discovered that some of my 'dreams' were really just that; Dreams. I really do believe in Goethe's quote "Magic is believing in yourself, if you can do that, you can make anything happen." Believing in myself, I discovered that some of my dreams were about making others believe in me. I think, for the most part, I am living my real dreams but still have some I am working on. Though I am always open to change and the possibility of new dreams! Hi Toni :) I DID find that reviving my dreams had less intensity. But in my case, I think it's because my dreams changed a little. But I was still holding on to the old ones. I was so keen on going back to school to learn a different career skill. I was in finance and burned out terribly working for a trading firm. I thought if I learned something new, that I would change my life and meet different people...I tried, I think...maybe up to 6 times to go back to different schools and universities, and failed each time until I realized that my dreams were so different after I started to really manage the depression. I just wanted harmony at home, a loving boyfriend and lots of pets. Once I figured all that out, and trust me, that took years, eek...I worked towards that and was able to get there. Rain, When I read your blog, and your comments on other blogs, you never seemed like a 'Black and White' type of person to me. The world of finance and numbers is a "hard" or black and white reality. It seems as though you are happier with the soft, gentler aspects of life. I think we find ourselves swamped in depression when we follow a road that conflicts with our inner essence. It really sounds that you are discovering the real you! That's cool! TONI: In regard to your comment in my blog, about liking the new-to-me 'Elderwoman' term, it does sound gentler. I agree. Must say, that I am enjoying your comments back and forth here, as well. :-) Perhaps I should change my way of blogging. Mine has always been to read/comment, in blogs of those, who comment on my blog. As you did. But not to reply to comments made on my blog, right on my blog. Rather, to say anything needed, by private e-mail. But I have especially enjoyed your back and forth here, with Rain!!! A real conversation! :-) Perhaps I will do both, too... Your way, reply on your blog. And also, on the blog of the person who commented, or in email when possible, which is my way. thank you for sharing the writing of paul dear Toni ,this is profoundly authentic ! i am lazy person may be ,when it comes to my very own inner dreams specially having career and establishing myself on my own feeet this dream is still in waiting list of my life i am almost entering in my 48th year of the life and still feel like excited child who just opened eyes in the garden of life and wanted to explore each and everything around , but this is my insidious feeling. outside i am responsible mom and caring wife though love to be alone not crowed lover still taking care of my terms with all my relatives and in laws . "i am a good supporter " these are the words of my eldest son fro me he said i am blessed with talent to encourage my family and he says if today he is somewhre in life this is only because of me . It is wonderful when a mother is a nurturer and supporter of her children. It is even better when her children acknowledge he solid support of them. I think though, that our children, who have been supported and encouraged do the same for us mothers. That they encourage us in meeting our goals and let not stand in our way. Too many times, kids (even adult ones) begin to think that we mother's have no lives but to serve them. It takes great strength for mothers to say, "No! Not today, my dear child, I have plans." Good luck revealing your true self, though I believe we have all gotten a peek at her!! !